Do you have a question about your rebate status? Homeowners may benefit from receiving up to $4,000 and 0% interest financing (up to $10,000) or 4.99% interest financing (up to $15,000) toward energy efficiency upgrades! A Building Performance Institute GoldStar contractor will come to your home and identify sources of wasted energy. You will receive detailed, recommended measures, costs and payback analysis. Find out about our new pilots. 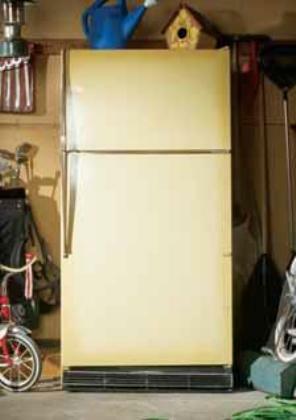 Do you have a refrigerator or freezer sitting in the garage wasting energy? New Jersey's Clean Energy Program will come pick it up for FREE and offer a $50 rebate! And, we'll give you $25 for each room air conditioner or dehumidifier recycled at the same appointment! Save energy and money by purchasing select, ENERGY STAR qualified clothes washers, dryers or refrigerators. Rebates are available for energy efficient heating and cooling equipment such as central A/C, ductless mini-split systems, heat pumps, furnaces, boilers, or water heaters. Apply online! 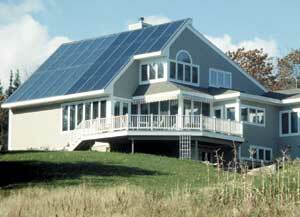 Rebates are available for energy efficient new home construction in New Jersey. Residential New Construction homes are at least 15%-50% more energy efficient than standard built homes. Improves energy affordability for income-eligible households. If you qualify, a contractor will assess the energy savings opportunities and install the measures at no cost. The program also provides personalized customer energy education and counseling. Provides financial incentives for energy efficient measures including high-efficiency lighting and lighting controls, HVAC equipment, water heating, motors, and variable frequency drives. The program is available to address the new construction and renovation needs of businesses, schools, municipalities, and other commercial and industrial facilities. You can now apply online! The Local Government Energy Audit is available to qualifying local governmental and non-profit entities, as well as state colleges and universities. NJCEP provides 100% reimbursement for investment grade energy audits by a prequalified network of energy auditing firms. Existing commercial, industrial, institutional and multifamily buildings with peak demand over 100 kW in any of the twelve preceding months are eligible to participate in Pay for Performance. This comprehensive, whole-building approach to energy efficiency starts with an energy reduction plan developed by an energy expert selected from our network of program partners. Direct Install is available to customers whose peak demand did not exceed 200 kW in any of the preceding twelve months. The program includes a walk through energy assessment to determine which energy measures might qualify for installation. The program will pay up to 70% of the installed cost (parts and labor) for those qualified measures. Offers rebates on CHP units designed to enhance energy efficiency through on-site power generation with recovery and productive use of waste heat. New Jersey is the fastest growing market for solar photovoltaics in the United States and one of the largest in terms of installations and installed capacity, second only to California. Much of this success is due to New Jersey’s Solar Financing Model, which relies on high renewable energy standards and the use of SRECs. 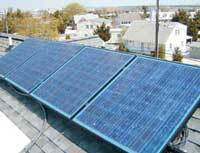 The SRP Program is used to register solar projects in New Jersey. Owners MUST register their projects prior to the start of construction in order to establish the project’s eligibility to earn SRECs. The New Jersey Board of Public Utilities has approved innovative financing programs at the state’s electric utilities to support the installation of solar photovoltaic systems that produce clean renewable electricity for customers’ onsite use. Questions About Your Rebate Status? Do you have a question about a rebate that you already submitted? Please contact us at 866-NJSMART. You may also submit your question online.